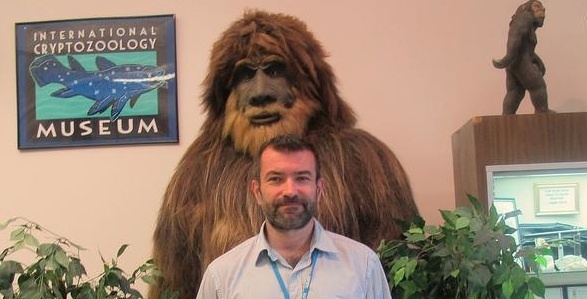 The International Cryptozoology Museum Journal will be following the “Manual of Style” established by J. Richard Greenwell for the journal Cryptozoology. We have to recalculate this photograph as having been from 1906, not 1908. Do the ‘Yeti’ and ‘Jackalope’ Really Exist? The public radio network gave a fair overview of the scientific and public information mission of the International Cryptozoology Museum. Does the movie monster maker’s creation match those of the first images of the Chupacabras from Puerto Rico in 1995? Lee Speigel told me an amusing detail about the “documentary” shown with Hank that I have not seen discussed online. Who is guilty this time around? This could potentially be the number one story in cryptozoology for the decade. Bridgewater Triangle Beasts Are In Monsters of Massachusetts! Monsters of Massachusetts will serve as your tour guide to some of the most mysterious monsters to be encountered in New England.